Matt Furie kills Pepe, and in so doing, gives rise to a new god. Pepe has been laid to rest. Retired by his regretful designer. 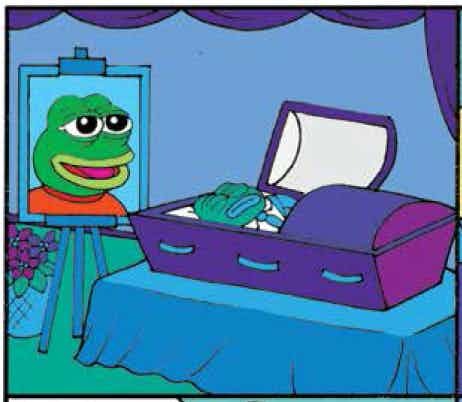 After fighting an uphill battle to reclaim the feel-good image of his popular character after it was perverted by a culture of hate, cartoonist Matt Furie laid to rest Pepe the Frog in Fantagraphics’ Free Comic Book Day offering, “World’s Greatest Cartoonists.” In a one-page strip, Pepe lies in an open casket while “Boy’s Club” friends Landwolf, Brett and Andy mourn him in their irreverent fashion. Furie debuted Pepe and the “Boy’s Club” characters on his MySpace blog in 2005 and published four issues of the crew’s adventures through Buenaventura Press, stories that were collected into a single volume by Fantagraphics in 2016. Pepe, as seen in “Boy’s Club,” is a mellow dude getting stoned with his friends, regularly engaging in gross-out humor. But more recently, Pepe has been adopted as an icon and mascot by the extreme conservative “alt-right” movement, and as memes showing the chill frog promoting white nationalist and anti-semitic messages graduated from 4chan and Reddit into the mainstream, the Anti-Defamation League last year designated Pepe a hate symbol. Not to fear. 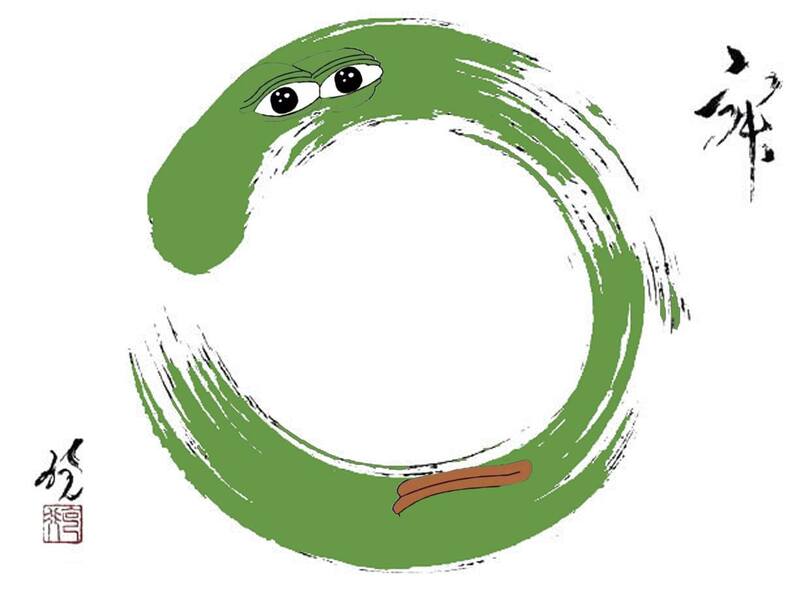 Pepe’s iconography is part of our lore and the symbol is intricately woven into the right’s symbolic repudiation of the PC Liberentsia’s stranglehold on good sense in America. 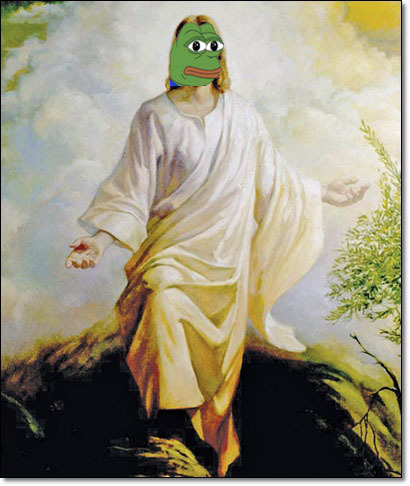 It is time for Pepe to rise from the grave and truly attain immortal and deified status! H.L. Mencken would be proudly mortified, like Dr. Frankenstein. Christianity versus Islam in the agnostic world. WWT, the real one, has entered the ring.